Creating a home that's nourishing, creative, and fun through crafts, kids activities, learning activities, and lots of family fun. 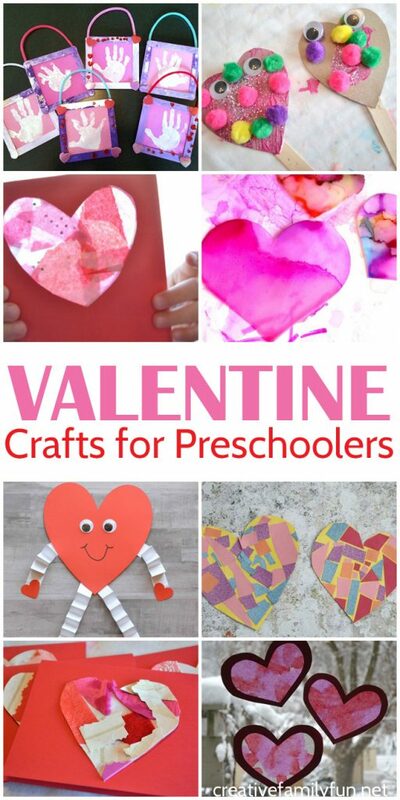 We love to make crafts for Valentine’s day! Do you? 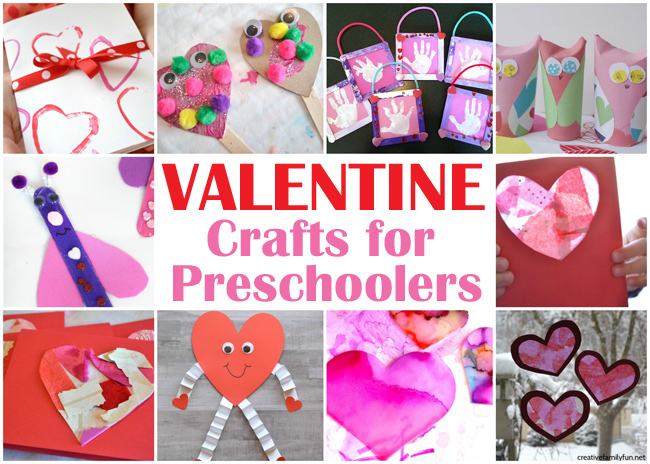 Here are some fun Valentine crafts for preschoolers that will be perfect for your little ones. These ideas are fun and open-ended and allow your kids to get creative. They’ll be so proud of their finished products! And you’ll love to display them all over the house. Keep reading for these fun ideas. Disclosure: There are Amazon Affiliate and other affiliate links in this article which means, at no additional cost to you, we could receive compensation for our recommendations. You can read our full disclosure policy on our Disclosure Page for more details. 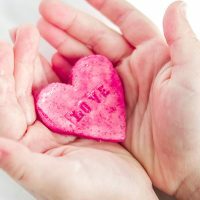 Below you’ll find a lot of fun Valentine crafts from collages to puppets to fun gifts to give. Or, maybe you want to make a wiggly armed heart. No matter what you choose, your kids will have so much fun. Grab some supplies and let’s get started! You won’t need anything complicated and you probably already have most of the supplies you need. You can even find some of the supplies in the recycle bin. 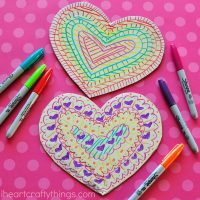 I can’t wait to have some fun with these Valentine ideas! 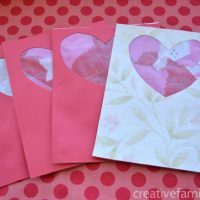 Turn a simple collage into a pretty heart card. 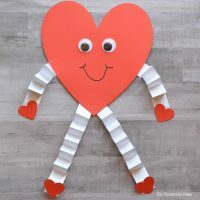 Make and then play with these awesome Silly Heart Puppets. 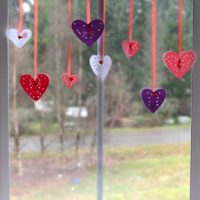 Decorate your windows with these beautiful heart suncatchers. 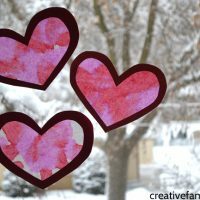 Send a beautiful stained-glass window Valentine to your family and friends. 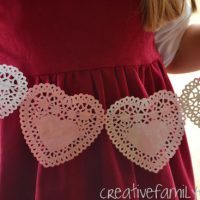 Make a banner with pretty dip-dyed heart doilies. 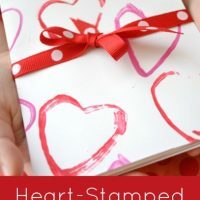 Use cardboard tube stamps to make a pretty Valentine card. Creative a fun and silly wiggly-armed heart person. 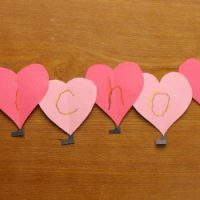 Practice your name with this fun love bug craft. 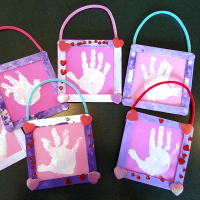 Use these awesome Valentine frames to display your handprint. 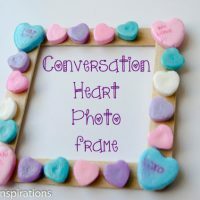 Make fun frames with conversation hearts for a fun gift for friends and family. 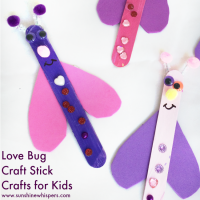 Super Fun Craft Stick Love Bugs! These simple love bugs are fun to make and fun to play with. Make beautiful hearts using tin foil as your canvas. 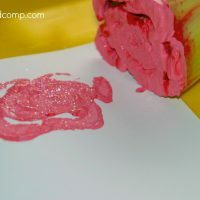 Use celery to make roses to decorate your Valentine cards. 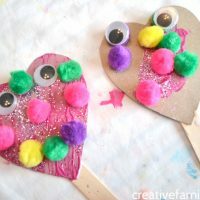 Decorate with these fun fine motor Valentine craft. 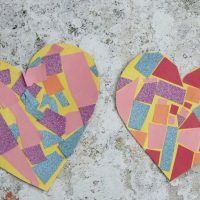 Create mosaics to make a beautiful heart craft. These salt dough hearts would make a wonderful Valentine's gift. Hoot! Hoot! 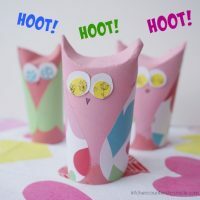 Who wouldn't love the cute cardboard tube Valentine owls. Did you see an idea that you like? 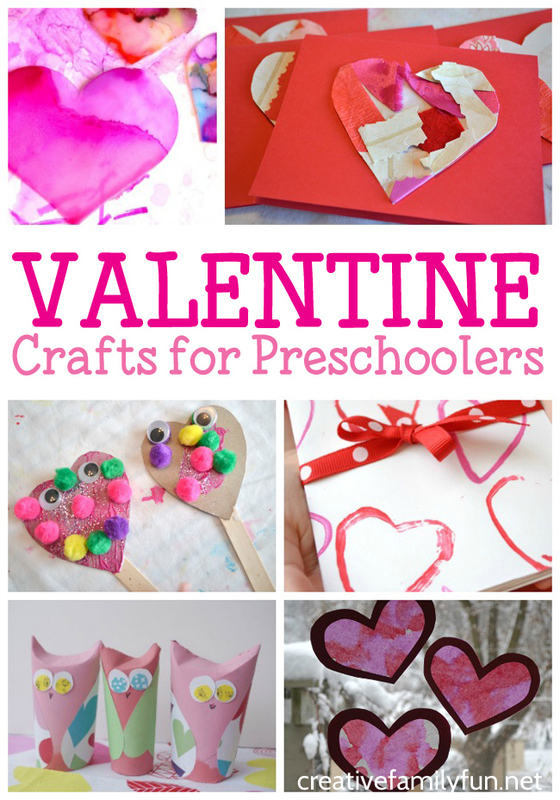 Which of these fun Valentine crafts for preschoolers do you want to try? It’s too hard to decide on just one. You may have to make a few! In order to have fun creating our crafts, we like to have resources on hand. 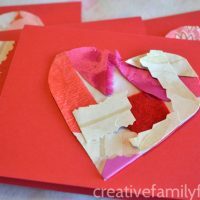 From simple construction paper and glue to more fun Valentine’s items like heart stickers. Do you want to do more activities with your kids? Join our fun Facebook community, Creative Family Fun for Busy Families, for daily activities that are great for kids and families. We’ll chat, share, and have fun. It’s a safe and private place to share ideas for family and kids activities. I’d love for you to join me! Just click the link below, request to join, and answer the questions (they’re easy, I promise). Come join the fun! Join the Creative Family Fun for Busy Families community here. Terri is a writer and mom of two elementary-aged girls. She has a passion for learning and is always looking for ways to make learning fun. You can find her here writing about fun learning activities, art, craft, and family fun ideas.